Spinach Artichoke Mac and Cheese is like the two friends you know are a perfect match and have been dying to introduce for years. Each is the ideal complement to other, they laugh at each other’s jokes, and once combined, they are destined for a lifetime of bliss. Time to get hitched. Spinach Artichoke Mac and Cheese combines one of the greatest American appetizers, spinach and artichoke dip, with one of the most iconic of American dishes, macaroni and cheese (ignore the deceptive “macaroni” in the title. This vat of cheesy pasta goodness was made for Uncle Sam). The signature creaminess of spinach and artichoke dip paired with the cheesy, saucy macaroni noodles is at once unexpected and utter destiny—the hallmarks of any great love story. The base of this Spinach Artichoke Mac and Cheese is my absolute favorite lightened-up cheesy white sauce, which relies on Greek yogurt for its body and velvety texture, instead of heavy cream. For maximum mac gooiness, I stirred in a generous handful of Fontina cheese, which melts beautifully and has a subtle nutty flavor that offers more taste bang-per-bite than its mild cousin mozzarella. Along with the leaner white sauce, this Spinach Artichoke Mac and Cheese is made with whole wheat pasta, a greater source of protein and fiber than its white pasta counterparts. 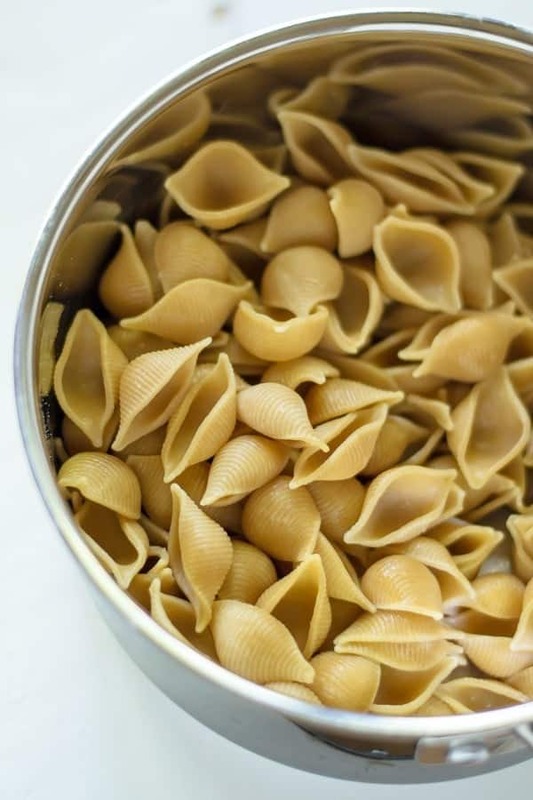 Using whole wheat pasta in place of regular is an easy, instant swap that makes our meal notably healthier, no extra work required. 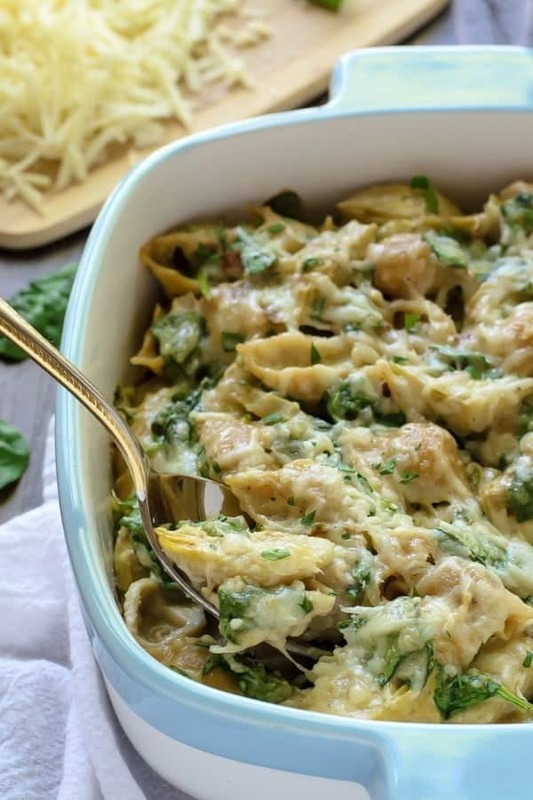 Though Spinach Artichoke Mac and Cheese would make a stellar side at any gathering (your Fourth of July barbecue included), it’s hearty and healthy enough to operate alone as an all-in-one main dish. I’d originally intended to serve it with some simply sautéed carrots or sweet potatoes but ended up skipping them—the generous serving of spinach and artichokes in the mac and cheese felt virtuous enough on its own. …and just one more for dessert. Before I go—a huge thank you to everyone who sent kind notes following the release of yesterday’s first-ever Well Plated Monthly Newsletter. It’s a project I’ve been excited about for months, and it’s wonderful to see it come together at last. Not sure what I’m talking about? You can sign up to receive this nugget of inbox goodness once a month right HERE. Spinach Artichoke Mac and Cheese combines the flavors of everyone's favorite dip with classic comfort food. A surprisingly healthy all-in-one meal or stellar side. Find the full recipe on the KitchenAid blog, where I am sharing it. Thanks! I created this post in partnership with KitchenAid, for whom I am a contributor. Spinach and artichoke dip + mac and cheese is DEFINITELY a match made in heaven and so American. I love it — sounds sooo delicious. I’ll be watching for my dinner invite, YUM!! Yummy!! This looks oh so good!! Love ya gal! Looks amazing!!!! Which cheese did use??? This looks amazing!! Wish I was eating this now!! This looks great! I think I can convince the BF to eat artichokes if they are covered in creamy cheese and carby pasta! Wow. This is the way mac n cheese was MEANT to be. It looks so incredible. I usually don’t crave pasta, but I am craving this like mad! What a wonderful dish!! Looks so delicious! This looks absolutely delicious! Pinning! You are so clever the way you make relatively boring foods sound amazing. 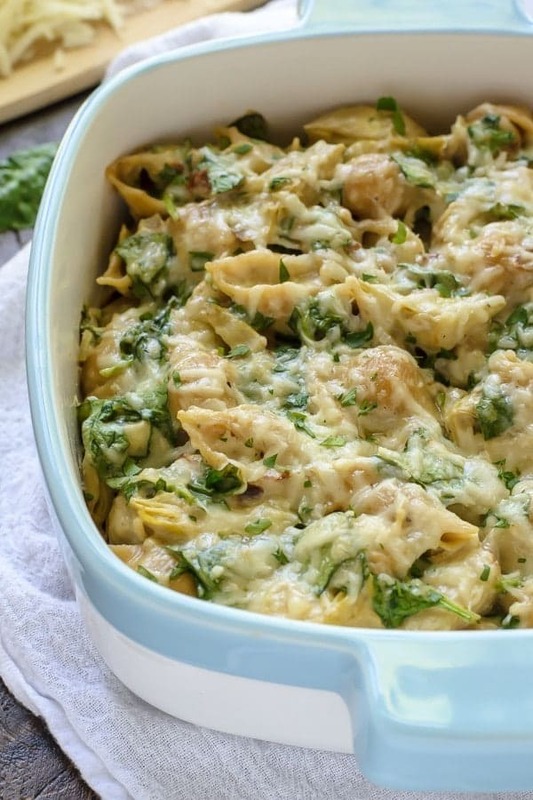 Spinach artichoke anything is a favorite – I love all those healthier swaps you’ve snuck in! Is there a place where you can buy a print of the Sunflower picture you had in your June newsletter?? Hi Nancy! Honestly, I have no idea. You could try searching the name of the art and artist online perhaps? Wish I could be more help! Woah this looks fantastic! 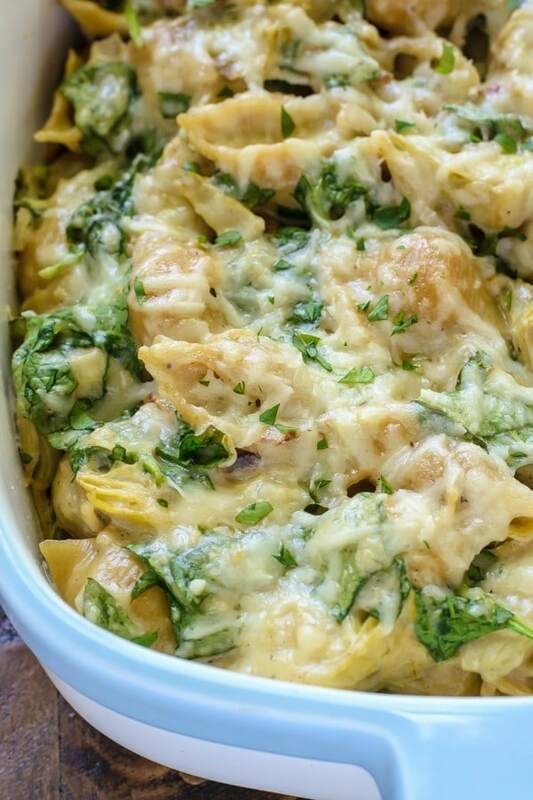 Love spinach and artichokes and with mac and cheese too? Amazing! Do you think I could add some chicken to this or would it mess up the proportions? Hi Heather! Yes, most casseroles freeze wonderfully! Either option would work. If you bake then freeze, make sure to let it cool and then cover it before putting it in the freezer. Thaw it overnight in the fridge before reheating (covered). OR you could assemble it up until the baking step, then let cool, cover, and freeze unbaked. If you go that route, you should also let it thaw in the refrigerator overnight (or even a full 24-36 hours ahead), then bake it, covered, as well. It will most likely take longer than specified in the recipe since the ingredients will be cold from the fridge. I hope you enjoy the recipe! Hi again Heather! I am SO SORRY, but I had an error in the prior direction I gave you. If you decide to freeze the casserole unbaked, also let it thaw in the fridge overnight before you bake it. I updated my prior comment for your reference. Again, my apologies for the confusion! Hi Lori! I used standard size cans, around 14 ounces each.